Apple today unveiled a new version of its iPad mini complete with a 7.9-inch Retina display with 2048 x 1536 screen resolution. At the company’s press announcement in San Francisco, Apple said that Retina display has been one of the most requested features. It also comes with a A7 processor with a sharp increase in performance and 10-hour battery life. It comes with 2x faster WiFi and expanded LTE support, FaceTime HD camera and comes in silver and white and black. It will be priced at $399 for 16GB and WiFi and $529 for cellular technology. The original iPad mini will stay in stores and has been reduced to $299 for 16GB WiFi. 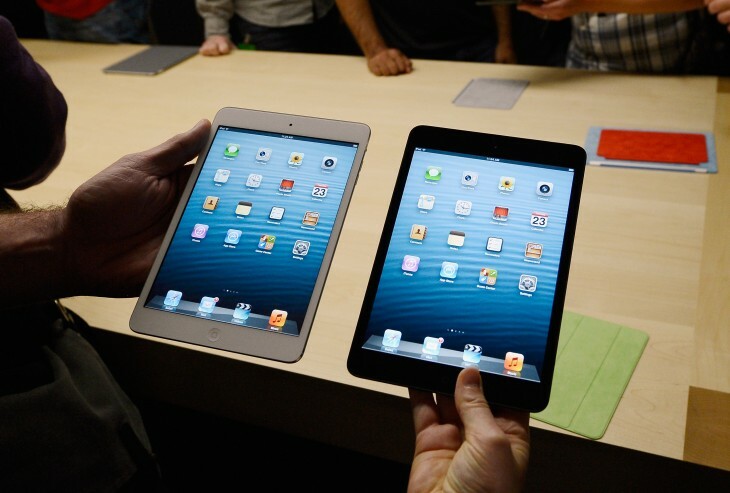 Apple says that the new iPad mini will be available in November. The next-generation iPad Mini comes just about a year-to-the-day from when the company first unveiled the smaller version of its iPad tablet. It’s no surprise that the device comes with iOS 7 as the latest version of the operating system was released last month and quickly became available on the iPhone and iPhone Touch. This is developing. Please refresh for updates.